While I’ve been working on ideas for promoting my books, I’ve found myself pondering the nature of fame and success. Quality, fame, and material success, and the trappings of all these, don’t necessarily go hand in hand. For instance, I know of authors who are making millions with their independently published books, and yet they don’t seem to be at all famous. Their names seldom come up in discussions of those kinds of books. On the other hand, I’ve mentioned how surprised I was to learn that some of the people whose names always come up and who are treated as Big Names in the genre community don’t seem to be making as much money as I am, when I’m mostly unknown in that community. There are people who started publishing much later than I did who are now big bestsellers and celebrities in the industry, while I’m still mostly unknown, and there are people I read when I was starting out who had really good books that won awards but who have fallen completely by the wayside and seem to have given up writing. I’m sure we can all point to mega bestselling books that really weren’t well written. Some of those mega bestsellers manage to sustain a career, while others don’t seem able to write more than that one story. But I think this applies to other fields, as well. I was thinking of television series I enjoyed a decade or more ago. When there was an ensemble cast of more or less equally good-looking people, there were some who seemed rather talented and who had a lot of charisma, and I would have thought that those people would have been the ones to go on and become famous elsewhere, but it doesn’t always work out that way. Sometimes, the least talented person is the one who keeps getting lead roles in TV series and becomes a star while the more talented person with stronger acting credentials ends up relegated to the occasional guest role. There’s not a lot of rhyme or reason to who succeeds and who doesn’t. The rather annoying thing about it all — and it is annoying because it’s not something you can plan on, create, or control for — is the role luck plays in all of it. It’s all about having the right thing in the right place at the right time. The only thing you can do is produce enough work of sufficient quality that the odds are better that you will have the right thing in the right place at the right time. You also have to have the goods to back up the luck. Getting that one big book deal because you had what they were looking for at the time they were looking for it won’t help much if you can’t write the next book or if you can’t adapt when the market changes. Strangely, thinking this way makes me feel a bit better. Doing my part can improve my odds, but it’s not necessarily anything I’ve done wrong that’s kept me from going further. 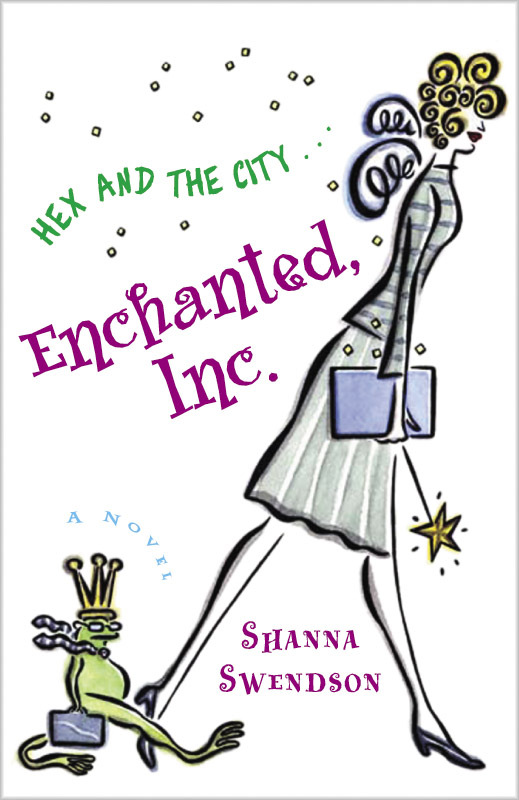 It may just be timing — Enchanted, Inc. came at the end of the chick lit wave but before the urban fantasy wave really got going. A couple of years earlier or later and I might have had a very different career.